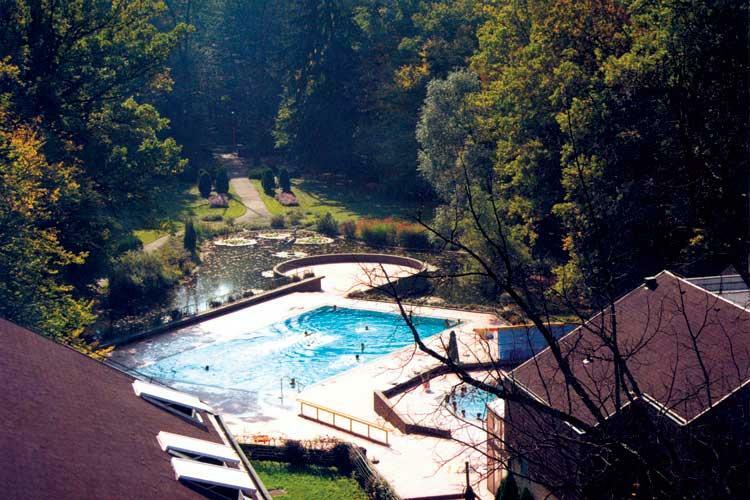 Daruvarske toplice, Daruvar SPA, is one of the oldest spas in Croatia. 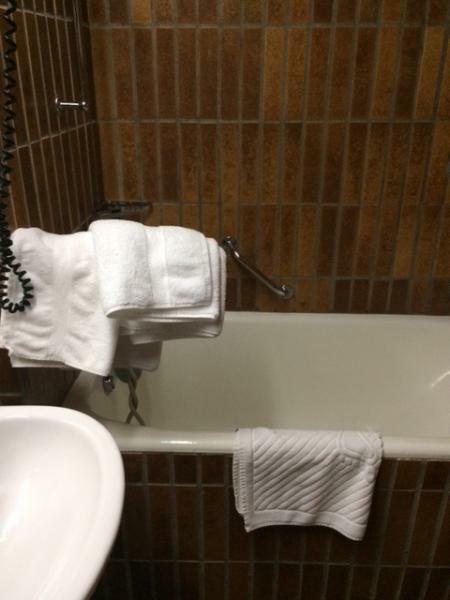 It has natural hot spring water in use from Roman times. It is strongly believed that Roman emperors Hadrian, Comodus and Constantin the Great visited this spa. Daruvar spa is specialized in the treatment of rheumatic diseases, medical rehabilitation and also provides assisted treatment for infertility healing factors. Daruvar spa is in the center of town, in a lovely old park. Today this spa is specialized in medical treatment so the hotel is not luxurious and has not been renovated for a long time. However, we are happy to hear that it is planned to refurbish the old hotel and it will be for only medical patients, and a new hotel for tourists will be newly built nearby. Hotel indoor pool is very small, but it connects itself to the outside part, so then it is not so crowded. However this spa has to us one of the best water, for it is hot enough that a person can stay in the water for a very long time, even in the outside part, in the winter. There is another outside pool. It is not connected with the inside/outside pool, so a person has to walk to it. It was a challenge but also fun to do it at the outside temperature of -10C -15C. Food varies from day to day. Some days it was excellent, other days it was very mediocre. To a person that travels a lot to different hotels, it may look like a poor selection of food. It could have more options. What they miss is a baby/kids daycare or some program. Because if parents wish go to the spa, massage etc. it is quite impossible if you have nowhere to leave your kids. Staff were very nice, especially younger staff in restaurant and all at the reception. Tables in the hotel area that are close to the door, are not good, because smokers keep coming in and out and opening that door. And it was too drafty. In the winter time, they should close those doors next to the tables and just keep open the ones by the reception. Our apartment in the hotel was very good, with excellent bed, nice sofa in the living room and nice TV. Bathroom looks like it needs renovation, however it is spacious and benefit to that apartment is a seperate toilet. 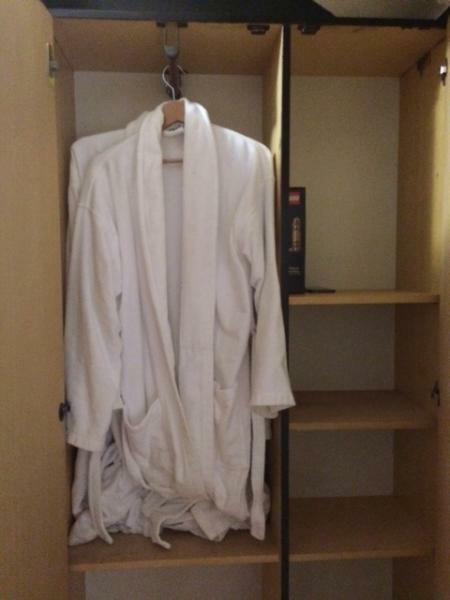 In the apartment they also have robes for going to the spa. Near hotel is Daruvar city pool park, which has many inside and outside swimming pools. It is not contected with hotel and entrance has to be paid. We love Daruvarske toplice, although it needs renovation. We would always like to come back here, and we are looking forward to visiting the new hotel.